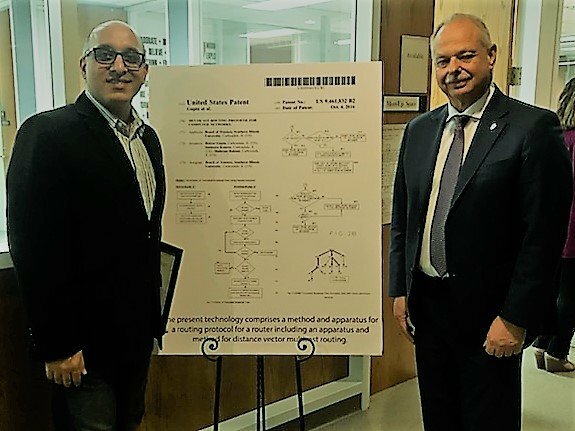 Patent Awarded to Dr. Shahram Rahimi | Potentia Analytics Inc.
Multicast Routing Protocol for Computing Networks. This newly awarded patent is on a new algorithm for network flow improvement which improves the speed of the internet multiple times without any need for new hardware upgrades. He is a recognized leader in artificial intelligence research with over 170 publications. He is the Editor-in-Chief of the International Journal of Computational Intelligence and sits on IEEE’s Committee for New Standards.